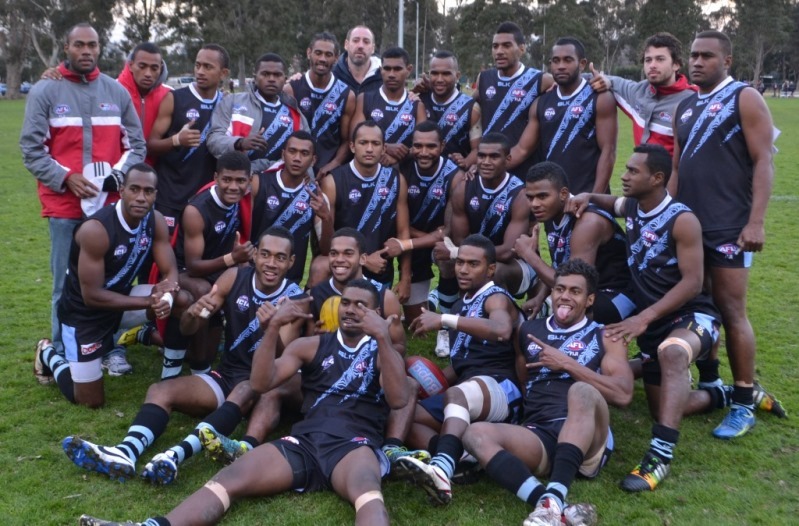 Fiji today ran out to a 208-point victory over newcomers Indonesia. Indonesia had a tough initiation to International Cup footy on Sunday against the Nauru Chiefs, but had fought out that game despite the odds, to notch an elusive goal. The task today on Ransford Oval was to take on Fiji and with a 3 day break it’s all part of a very steep learning curve. The challenge for Fiji was to maintain their focus and not develop bad habits. The coaches reinforced the message to keep it simple, 1 handball, 1 kick – old fashioned footy in some respects. It was too easy at times to lairise and perhaps the main criticism of Fiji today was a little show of contempt for the opposition by playing on too often when marking within range where a set shot was called for. This small display of over confidence did result in many of the micro victories that the Garudas would focus on as positives. They continued to harass and tackle and their rewards were the free kicks earned. For Fiji, Vatutuei (#2) enjoyed the chance to run and carry and displayed his poise with a couple of running left foot goals that showed a touch of class. WFN’s own Dylan Wolfgramm showed his class but as with a number of players perhaps tried to hold something in reserve for future contests. For the Indonesian coaching panel the task was to focus on the positives and while they didn’t register a score, the squad maintained a positive attitude and drew respect from their opponents for constantly getting back up, never giving in and keeping a smile on their faces. The Garuda's persisted and were able to push deep forward but clearly lack height up forward finding it pretty difficult to transition from the backline. With a little luck they might have hit the scoreboard but not today. 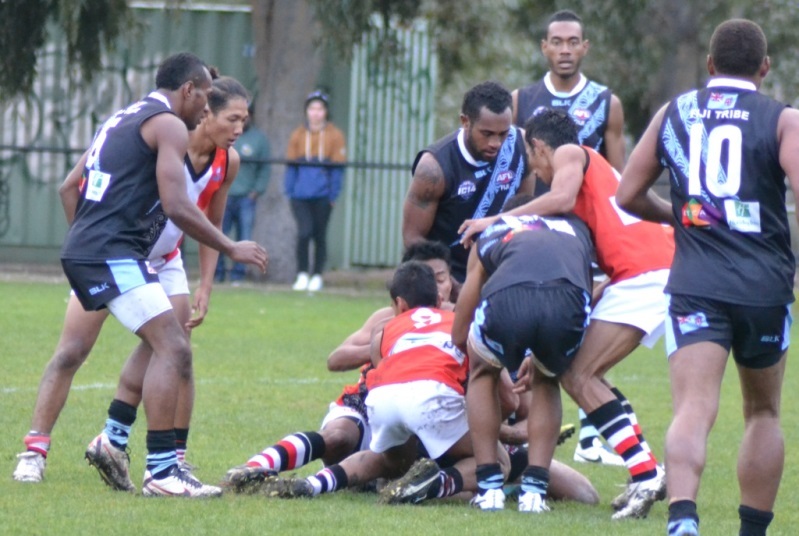 As bad as the scoreboard was – the footy education continues and the camaraderie on display between the sides after the final siren was a credit to both teams and showed the true spirit of the International Cup. 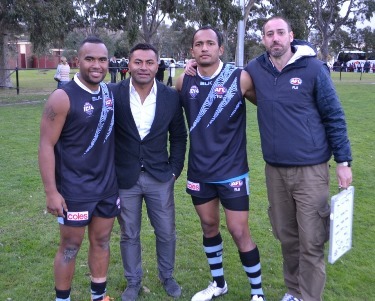 For many of the Garudas the footy education is only part of the equation as they experience a culture shock where – for example – many are experiencing western toilets for the first time.